Rather than being eclipsed by new technologies, modern typography has become a powerful medium for visual experimentation and personal expression. 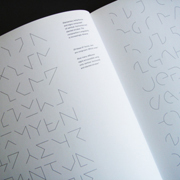 Creativity alone, however, is not enough to ensure the success of typographic communication. 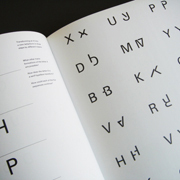 To transform even the simplest piece of information into a sophisticated message, the typographic designer must grasp theories and aesthetic principles that have informed visual communication for centuries. 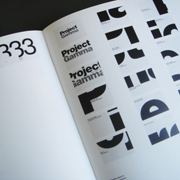 Typographic design begins with a set of information and a concept. 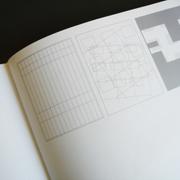 The designer, facing a blank sheet of paper or a computer screen, is anxious about how to take the first step. 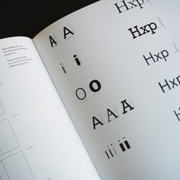 While the basic elements of typography provide an obvious starting point, these building blocks of communication are often ignored, misunderstood or misapplied. Typography: Formation and Transformation demystifies typographic design by explaining how letters, words, lines, paragraphs and columns are formed, what makes them unique as design elements, and how they can express character and emotion. By mastering these basic principles, the typographic designer can transform a purely utilitarian composition into a visually powerful statement that conveys both the intellectual meaning and emotional impact of a message. 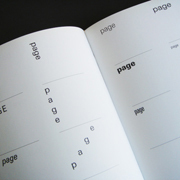 Good typography supports reading, but it should also be a source of visual pleasure and inspiration. 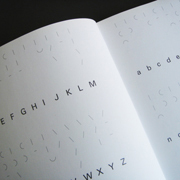 Part one, Formation of Information, demonstrates how letters, words, lines, and text are formed of basic elements and how they shape typographic communication at the macro- and microaesthetic level. 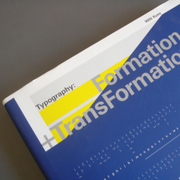 Part two, Transformation of Information, uses theoretical and practical examples to explore how space, proportion, rhythm, and composition can be used to transform typographic syntax into a sophisticated visual language. 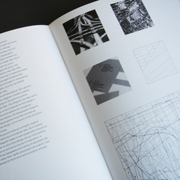 Part three, Topology of Typography, analyses a series of posters by deconstructing their design through a diagrammatic process, which can inform new possibilities for form and communication. 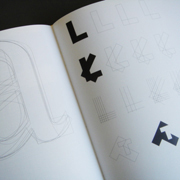 Designers, architects and professionals in allied creative fields will find Typography: Formation and Transformation an invaluable guide to understanding how modern typography, while firmly anchored in the past, can inspire new interpretations of visual ideas. Dimensions: 8.5 x 10.75 x .75 in. Paper: Hanno Art 170 gr.